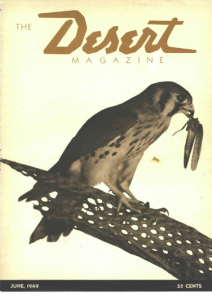 This item is still under copyright, however, since the Desert Magazine Archive has ceased operation and the resource is not available elsewhere we have made the decision to publish it here. Below is the link to their now defunct archive site. We will remove it upon request or if the archive site is revived.